HOW MUCH IS THAT DOGGIE IN THE WINDOW? ARF ARF! This popular children’s’ song of yore conjures up images of an irresistible little pup with a “waggley tail” in the pet shop window with its paws and nose pressing against the glass almost begging to be purchased and taken home. Who could resist? 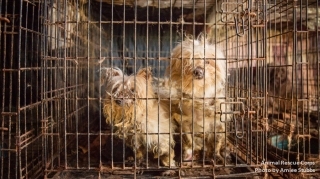 But unbeknownst to most pet shop consumers, behind the friendly façade of these pet shops, as well as many web sites and newspaper ads, there often lies a puppy mill. 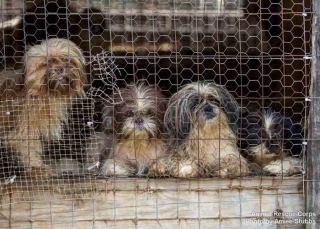 These commercial mass breeding facilities house dogs in shockingly poor conditions, particularly for "breeding stock" animals that are caged and continually bred for years without human companionship and with little hope of ever becoming part of a family. 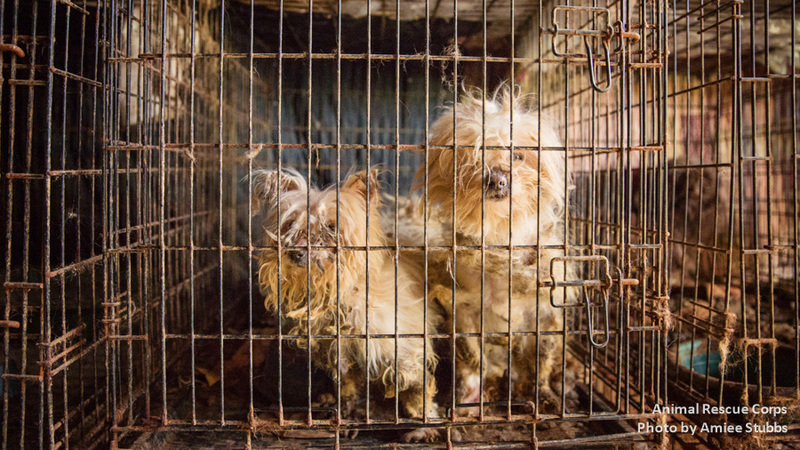 Because a puppy mill is a business, the facility is designed purely for profit, not comfort or concern for the well-being of their animals. After their fertility wanes, breeding animals are commonly killed, abandoned or sold to another mill. 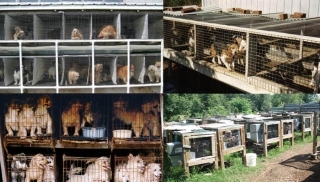 The Humane Society of the United States estimates that 500,000 puppies are sold through pet shops each year. The puppies, though, are the lucky ones; they get to leave, although most times their journey to a new life begins with a long cross-county ride in the back of a truck, frequently at only five to six weeks of age. Most puppies purchased from pet shops are AKC registered, which most consumers believe gives an assurance that the pup is genetically sound and a “purebred”. They pay hundreds of dollars for their “purebred” pup, but frequently end up with a pup that only somewhat resembles the breed standard for its breed. Purebred registration papers only state the recorded lineage of a dog; accuracy of the reported lineage cannot be guaranteed. The American Kennel Club (AKC), the most widely recognized purebred dog registry, readily notes that it "is not itself involved in the sale of dogs and cannot therefore guarantee the health and quality of dogs in its registry." 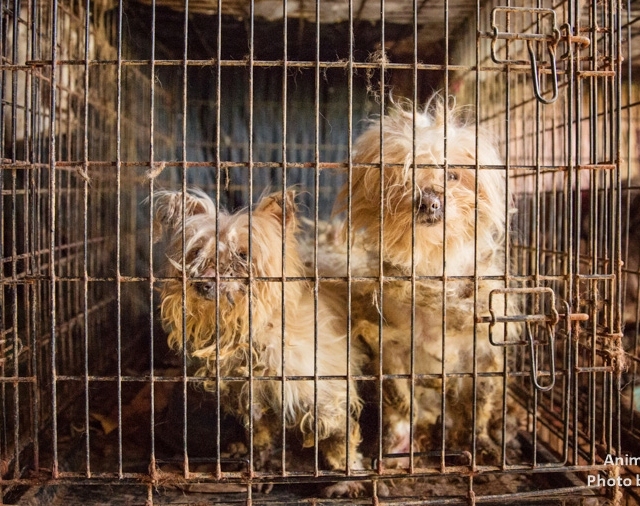 Many pups who originate from puppy mills have serious behavioral and/or health problems that might not be apparent for months, or even years; problems that can cost thousands of dollars to treat, if treatable at all. 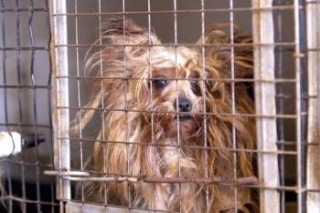 HHS has received hundreds of dogs that were originally acquired as pups from pet shops. We once received a 4 month old Neapolitan Mastiff purchased at a pet shop for $1000 a few days prior to its arrival at the shelter because it “wasn’t allowed in the apartment”. We’ve received Beagles because they bark too much, Jack Russell Terriers because they’re too active, and St. Bernards because they got too big. Most pet shop personnel are not there to educate you about breed characteristics and help you make the right choice for your lifestyle and home environment, but instead are there simply to sell you a puppy and will tell you whatever you want to hear to accomplish that goal. So what is the answer? It starts with education. Of course we advocate adopting from an animal shelter or breed placement organization instead of purchasing a pup, but what if you are dead set on getting a pup, but the shelters don’t have the breed or age you’re looking for? Then instead of perpetuating the puppy mill industry by purchasing from a pet shop, a reputable breeder should be the alternative. Reputable breeders do not sell their puppies to pet shops. A reputable breeder works to maintain the breed standard, both physically and behaviorally, and frequently shows their dogs in AKC recognized events to earn points toward championships. A reputable breeder will interview you to see if you are suitable to purchase one of their pups. If they sell a “pet quality” pup, they will require that it be spayed or neutered. They will offer health guarantees, and most will have you sign a contract agreeing to return the dog to them at any time during its life if you are unable to keep it. So how do you know if it’s a reputable breeder? 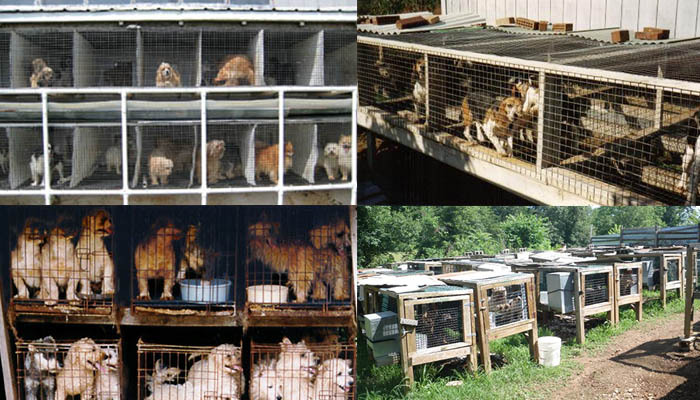 When you first arrive at the breeder’s home, notice the condition of the facilities where the litter is kept. Is it clean, light and airy? Where is it located? If the whelping or puppy area is located away from the main living quarters, ask if the puppies are ever allowed in the house and what has been done to socialize them. Puppies raised in isolation or who rarely see a human other than their breeder, will not adjust well to the hustle and bustle of every day home life. Puppies should be handled consistently and gently from birth. They need to be exposed to different sights and sounds almost immediately. They need to see all different kinds of people, from adults to children to men. 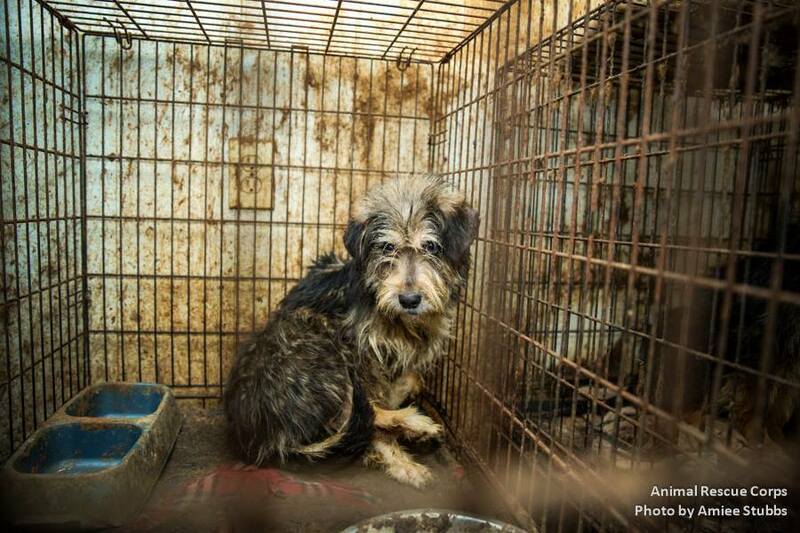 If the facilities are dirty and the pups all cower in a corner or do not respond to you, look elsewhere. When choosing a puppy from a breeder, make sure you see the entire litter. Never purchase from someone who only brings one or two puppies out for you to see. Ask to meet the puppies’ parents, as well. How do the adult dogs interact with the breeder and vice versa? If the breeder has multiple litters of different breeds, do not purchase a pup from them. Reputable breeders rarely sell more than one breed of dog. And lastly, don’t rush out to purchase one of the latest “fad” dogs. There is no such thing as a purebred Cockapoo, or Yorkiepoo, or Labradoodle, or Goldendoodle, etc. These are mixed-breed dogs, yet for some reason consumers are willing to pay hundreds of dollars to purchase one. They may make great pets, but so will the Shepherd/Collie, or Beagle/Dachshund, or Spaniel/Terrier, or some other wonderful mixed-breed at your local humane society. If you’ve got your heart set, though, on a purebred, well we get those, too! About one in four shelter dogs is a purebred. Just ask Millie, our St. Bernard; or Cutie, our Rat Terrier; or Rocco, our Australian Cattledog.